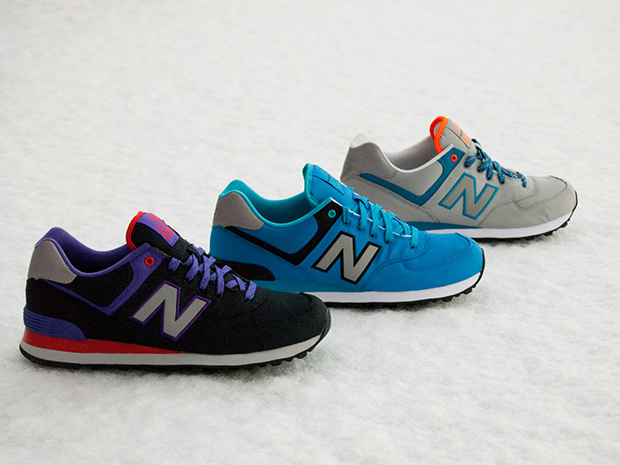 New Balance start their Spring/Summer range of footwear with this pack of 574s inspired by vintage windbreaker jackets. 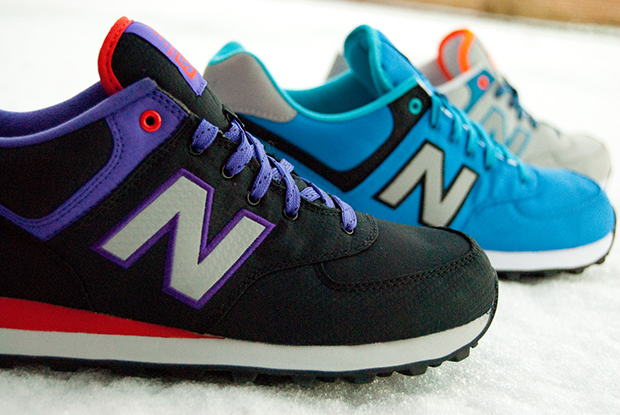 The 574s take their cues from classic 80’s and 90’s sports jackets, known for their brightly coloured shells and reflective materials. They come in black, grey and blue with contrasting coloured accents and reflective 3M details on the heels and the iconic ‘N’ logo. The laces used are reminiscent of the elasticated hood strings often found on windbreakers too, as final finishing touch. The recent cold snap presented the perfect opportunity to shoot the range, and Northampton’s Commonn have taken full advantage, with the colours really popping against the crisp snow. 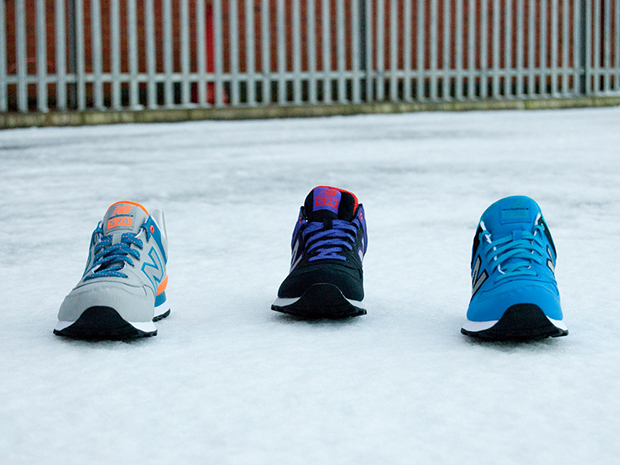 The black/purple are the stand out here for me, but all three are available for £65 a pair at Commonn now.